Does anyone create the new sheqel in a serifed style when developing a serifed face? I notice that Monotype's version of TNR keeps it sans. Also, I did a little searching and notice this simply isn't included in many faces at all, especially display Considering it is a beautiful glyph (to me) is there a reason it is so uncommon in Latin faces that nevertheless include many other currencies, aside from relative newness? The new sheqel sign should definitely be coordinated with the style of Hebrew letters and with the numerals in the font. 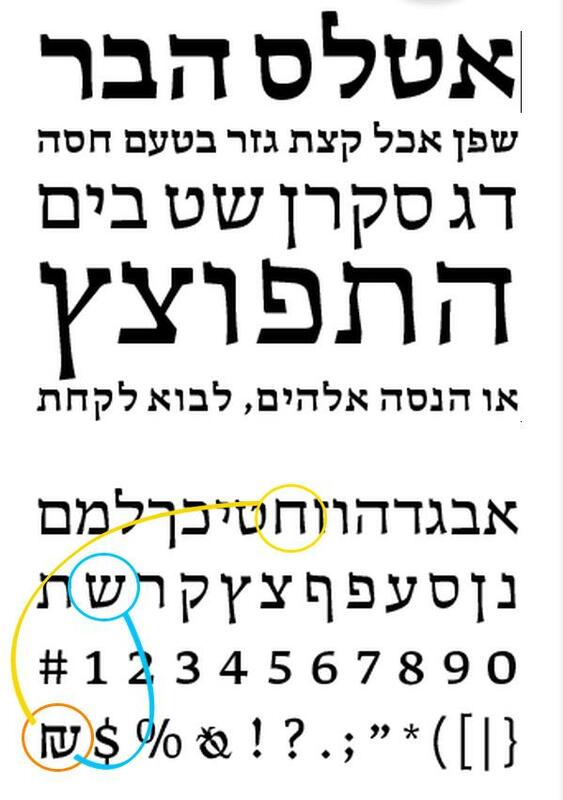 Of course, getting the numerals themselves coordinated with the Hebrew letters can be problematic if the Hebrew is part of a larger font supporting a wider range of scripts, as European lining numerals are typically massive next to Hebrew letters. So John, in a way it’s a stylistic alternate, but it’s script-dependent. Would you recommend a locl feature for that? I'd like to, but the trouble is that script itemisation in OTL processing may not roll numerals into glyph runs with Hebrew characters, so a hebr script locl feature may not be applied. Testing indicates that it can be made to work in InDesign but fails in Office apps. This is on the agenda to discuss at the next OTL shaping engine developer meeting, in October. 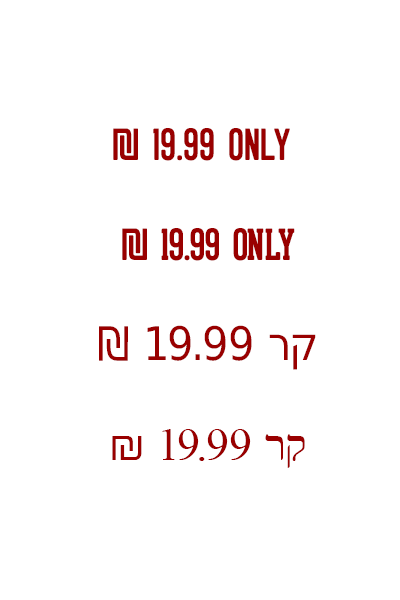 Given the issues with or lack of locl implementations, I ended up putting Hebrew-sized numerals in a stylistic set and small caps features. The Mellel word processor, for example, does not support stylistic sets, so the small caps feature (or another that Mellel supported) was necessary in this particular typeface in which the Latin was primary. Due to my experience and resources, and that the face I am developing is certainly not intended for laying large peices of text (hopefully people will be using it for headlines and posters), I had no intentions of developing old-style or other numeral varients. Until I see if the product's performance justifies it, I was planning on limiting OpenType features to stylistic and contextual alternates. I am including a wealth of accented characters (for a display face) - is _locl_ something I should look at closely? 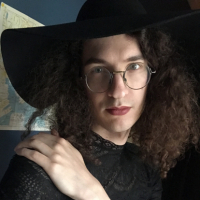 It seems on this board not just this thread) that _locl_ has some issues with adoption/execution? I hope to add cyrillic and expand greek, and that might be more valuable then, but again that would be some time after v 1.0 is released. Pethaps I should stick with the single design for both styles, as shown above? The Shekel sign is a ligature/combination of the left side of the Heth and the right side of the Shin. Serif versions of those letters have some weight modulation, and also different joints where the strokes meet and the brush lifts off the paper, though not serifs per se. Here's an example of a serif NIS sign in a renewed (by Yanek Iontef) classic Hebrew font (Hadassa, original by Henri Friedlaender). As mentioned by samarskaya this sign is combined of two other letters (yellow and blue circles) and the serifs correspond and related to the rest of the font serifs style. Ofir, thank you so much! This is exctly what I was seeking.